Don't be fooled by our ease-of-use. Beneath the hood is a fast, powerful reporting engine that can create rich, complex business reports as easily as simpler ones. A subreport is a report that displays inside another one. For each record in the main report, a subreport shows related records. 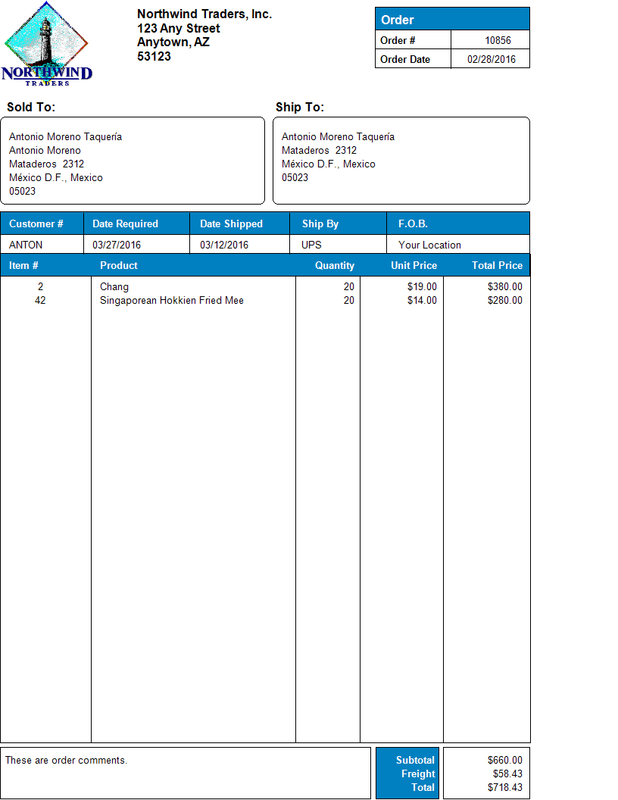 The Advanced Report Designer allows you to customize the appearance of your report. 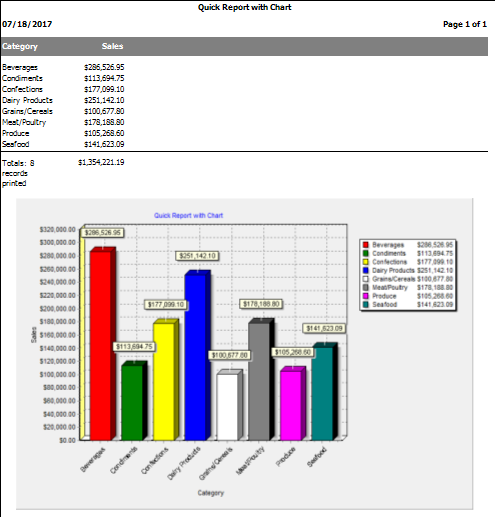 For example, you can add graphics such as a company logo, change the color of parts of the report, add lines or boxes, rearrange fields, etc. 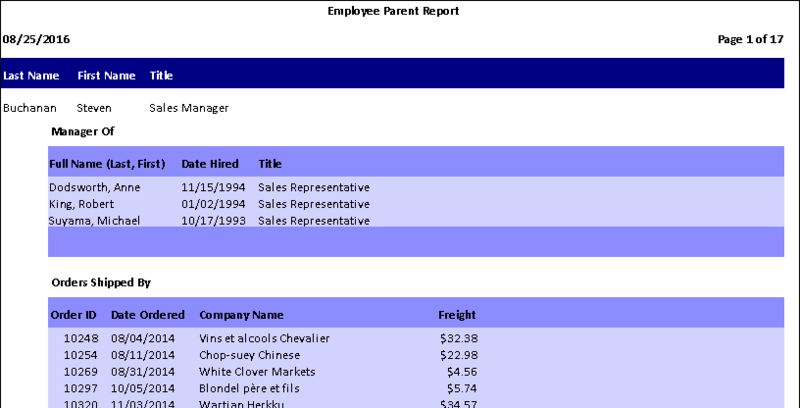 Create a chart or summary report that drills down to details at the click of the mouse. Include charts at the start or end of a data report.